Early 20th century in good condition with wear and tear. 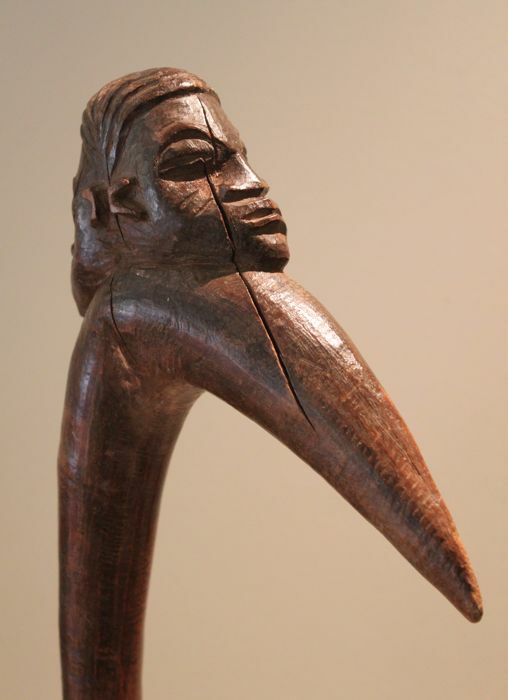 Ceremonial staff - Lobi - Burkina Faso - decorated with Janus heads. protection against spirits as you leave the village. 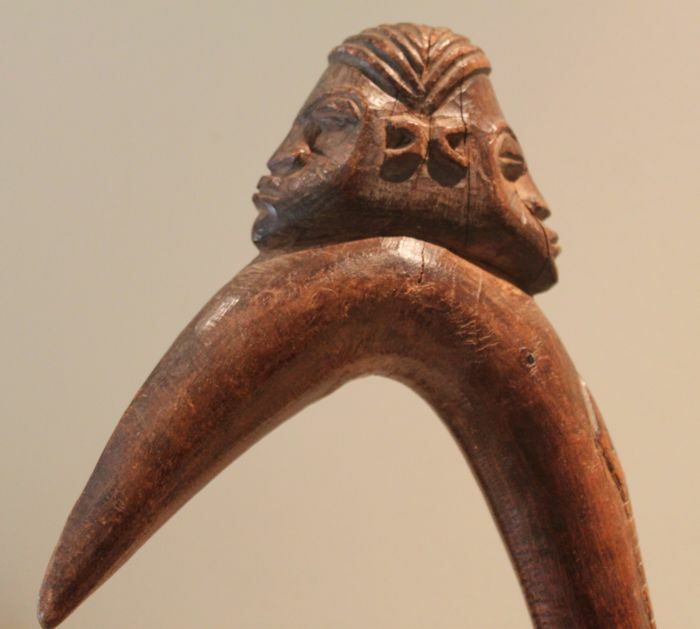 The upper part of the staff is decorated with beautifully carved Janus heads. 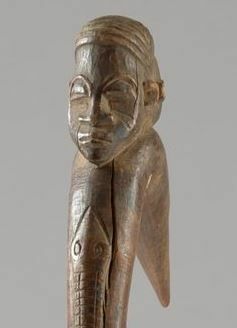 Carving of a crocodile or a snake on the staff itself.